OwenRunning: Greetings from the Library. . .
Not much has been going on in my life the past few days. That's exactly how I like it. Been getting some nice running in and trying to make some money before the summer ends. This summer has went by pretty quick in my mind. But, it has been a good one. I've accomplished the majority of my goals so far. Saturday was a good day. Corey and Shane came to town and it was nice visiting and running with them. Shane brought down some stuff for his apartment. As soon as they got here, Wysocki wanted to run so he could get to work in time. We decided to do the new 10 mile loop I found. Starting at Kent St, we went up Thomas Hill, left on 139, left on Rosemount and went up that huge hill, crossed 23 and finished up on the trails behind BDubs for a nice 10 mile loop. We ran right as people we getting off work so it was sort of busy with cars but we didn't have any problems. Two massive hills that were very hard getting up. We are all very fit though! That night we all just hung out at Coreys place and watched movies. Sunday, we had a 13 miler at Hangover. We all slept in pretty late since we were not meeting Erock until noon. For being 12, the weather was amazing. It was 75 with a cool breeze and even better in the shade. Can't beat that in the middle of July. So, we met Eric at noon, he had a friend with him, Mike Cauley. I remember him from the Cedarville Outdoor 5k this past spring. We were all making fun of his tattoo's on legs. But, the guy ended up being pretty cool after we got to know him better. He was in for a tough run at Hangover! We started our run where we normally do and did the 12 mile loop. Except we decided to do 15 instead of 13. Mike and Wysocki planned on doing more anyways so we just added on with them. It was Corey and Shane's longest run ever, so that is cool. They felt great and so did everyone else I think. The finish up the hill was a tough one but it made me feel invincible! I love that feeling during and after runs. Milkshakes after the run made everything worth it! 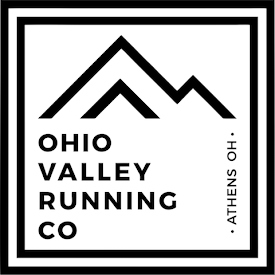 I sort of feel like we are gaining respect around Ohio for our running. More and more people are getting to know our team, such as Mike Sawicki and Mike Cauley and maybe some more guys from CRC. They get to know of through Eric mostly. But, I feel like they reeling appreciate our training and are learning that we are a bunch of hard workers doing really hard running. I mean, Hangover is no joke! I feel good about this and hope it is a continuing trend. Sunday night, my parents came to visit me. My mom wanted to see the new house, she seemed to like it. It is so much better than the last one. They took me out to dinner and took me grocery shopping. I was in some dire need of food and it was nice of them to buy some for me. I hadn't seen them in a month or so! Monday, I slept in way to late. I met with Wysocki and did an easy 11 miles around Portsmouth. Our legs were sore. Wanted to get in the ice bath, but no trainers were in there, bummer. I think this flat run allowed us to recover a lot. Went to work that night and had a great day. Tuesday was busy. Woke up for work at 8. Watched the Tour de France most of the day. I have had fun watching that. Got off work at 5, and I wanted to wait to run. So around 7, I asked Hornick if he wanted to run 13 with me. This was my first run with him and I wanted to see if he was fit or not. I took him on the loop we did Saturday, but backwards. The hills from the backside are worse I think. The run was good, my legs were feeling good. And of course Hornick half-stepped me the entire run so I probably won't run with him again until camp starts. He is always trying to prove something. He was breathing hard and said he was hurting, I was just chilling behind him. Good run though and I am feeling so, so fit. These maps I made are pretty neat. I don't want to make one for every run, but, it is cool to see the elevation changes in runs, especially out at Hangover. I have 15 miles to do today. Running Free!